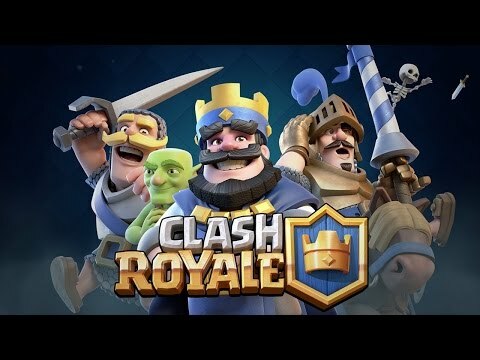 Royal Giant was once a last pick for many Clash Royal players. But since the May 3 patch, we’ve been seeing this big yellow haired giant on the spotlight. The increased range is definitely a great buff to him as he can out-range many defensive buildings because of its 6.5 – tile attack range. He has .5 higher range than the Musketeer! Plus the Royal Giant also attacks faster but moves slower compared to her. It can be annoying to fight against a beefy ranged giant that can safely attack your buildings and towers in a distance. You might waste some troops or spells just to kill it and realize that you’re spending much elixir just to put the Royal Giant down. Once you see your opponent deploy a Royal Giant, be aware of your elixir spending. Save some elixir for the cards that will counter it. It is very important that you place your building cards well when facing the Royal Giant. You may miss the Royal Giant’s target if you place it too far or got destroyed quickly if you place it too close to the opponent’s troops. 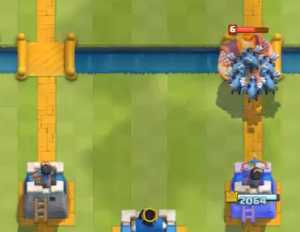 The main goal of the building cards are to distract the Royal Giant from attacking the Arena Tower. 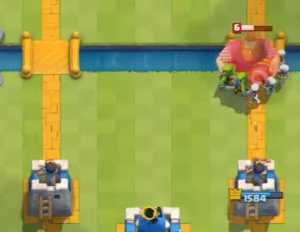 Tip: If you placed your buildings late and the Royal Giant started attacking your Arena Tower, zap it immediately so that the Royal Giant’s current target will reset and attack the closes target instead. Take note that not all building cards are good versus the Royal Giant. For example, Tesla and Mortar are the worst building to use against it because of its low health, low damage and limited range, it’s not worth the elixir to spend for. This is where your skill comes in. Proper timing separates a good from a bad player. It is very important to know when to attack or counter attack your opponent. 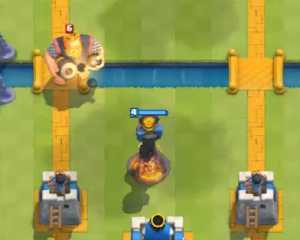 Once you see that your opponent deploys the Royal Giant, look where he placed it. If he placed it behind the Arena Tower, he will be adding backup troops behind so be careful not to rush attacking it. It’s a good idea to wait a bit longer (ideally if your elixir is not full) on what troops will he place after the Royal Giant so you can choose from your deck the best counter attack against it. Definitely you need to have the right cards on your deck to counter the Royal Giant. It would be a pity if none of the cards you’ll find below is in your deck. It would be very troublesome to defeat the Royal Giant without proper cards to counter it. 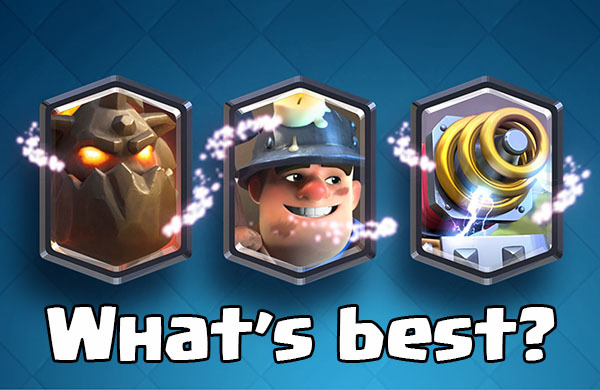 Find the cards you prefer below and build your deck based on your liking. 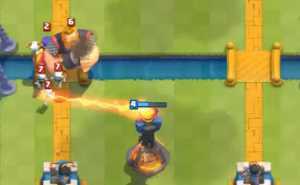 The Inferno Tower is the most powerful anti-tank building there is in Clash Royal. It can eliminate the Royal Giant in just a few seconds. It is 1 elixir cheaper and can survive and stay longer when facing the Royal Giant. An important note to remember when using the Inferno Tower is that you should let it attack the right target. 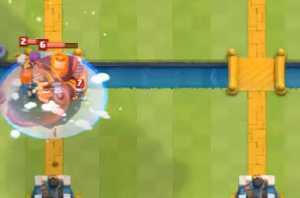 If you noticed that the Royal Giant has skeletons, goblins, or other troops, you don’t want the Inferno Tower to be switching targets before hitting the Royal Giant. It will be a failure to your side as the Royal Giant will start attacking it and you will lose the building up damage from the Inferno Tower to kill the Royal Giant. To prevent that from happening, you can add Zap to the combo with the Inferno Tower. 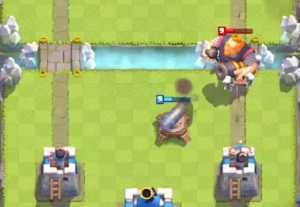 Even splashing damaging troops like Valkyrie, Wizard, Bomb Skeleton can work too, if you don’t have an available Zap to use. 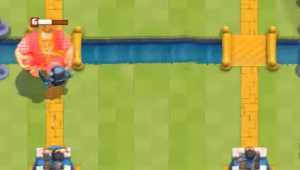 This trick will allow your Inferno Tower to focus on the Royal Giant immediately and remove unnecessary goblins and skeletons. Cannon is still a great card despite its consecutive nerfs! The cheap cost of 3 elixir is what makes this card so attractive and can function well versus building aggressive troops like Hog Riders and Royal Giant. 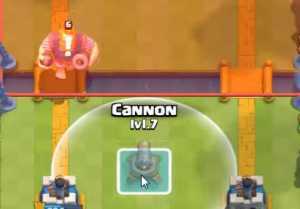 Bear in mind that the cannon is not a complete counter to Royal Giants compared to the Inferno Tower. You must place it well to be effective. If you placed it on the wrong side of the field, it will not attack the Royal Giant because of its 5.5 short range. 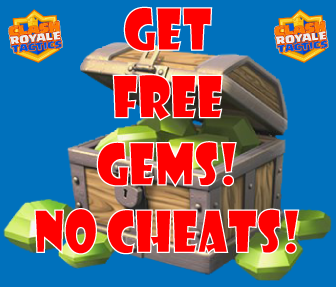 Using cannon with skeletons, minions or goblins is the best way to defeat a Royal Giant. 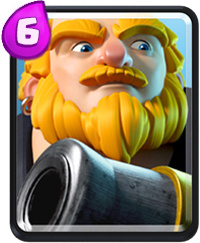 While the cannon receives the damage, the cheap troops can focus on bringing the Royal Giant’s health down. Tip: Be aware of the opponent’s Zap as it will 1-hit kill your skeletons or goblins. If so, don’t put them together at the same time so that you won’t lose the trade. Barbarians are one of the best cards in the game. It has good health and high damage input once the 4 Barbarians start attacking a single target. Thus it is a very strong counter to Royal Giants and other Giants alike. Same as the Inferno Tower, it is 1 elixir cheaper than the Royal Giant. Plus once the Barbarians finished killing the Royal Giant, you can add a follow up troop to attack afterwards. This move will give you a chance to destroy the Arena Tower if the opponent does not have the right card to deploy against the barbarians. The Minion Horde is one of the fastest killing troop card in the game. It can kill anything on its way in just a second. However, the biggest drawback of this card is getting killed by an arrows, which is a 2 elixir cheaper than the Minion Horde. Also, if you have low level Minion Horde, a high level zap can 1 hit it, which is a rather sad scenario because it is 3 elixir cheaper. Test your luck and you may find your opponent not having an available arrow to put down your Minion Horde. You’ll definitely have the upper hand when that happens. Though I am not a fan of this card, Skeleton Army is really a good card against Royal Giant. The big downfall of this card is that it can be killed with any splash damaging troop. Minion Horde is better because there are less cards that damages flying units than ground units. A Valkyrie can swipe the entire army in a swing. But if you really like this card, go ahead and use it against the Royal Giant. 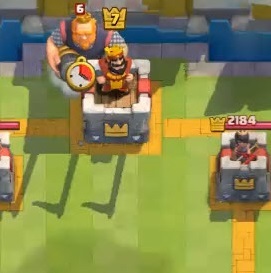 The Mini Pekka can duel the Royal Giant. Just one slash from the Mini Pekka’s sword and it will remove a huge chunk of health bar of the Royal Giant. 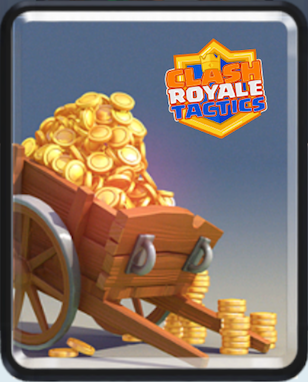 It is 2 elixir cheaper than the Royal Giant. A good follow up combo is also advisable. 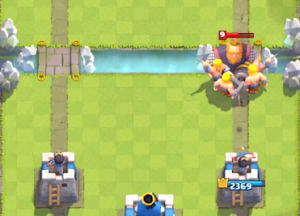 In case that there are other troops around the Royal Giant, don’t put in your Mini Pekka too far from the Royal Giant as it will be distracted by the other troops. The attack speed of the Mini Pekka is horrendous and you don’t want to waste that swing on an annoying skeleton. 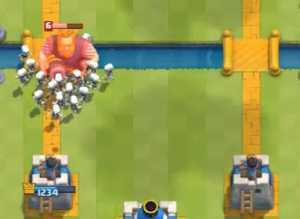 In situations when your opponent immediately placed the Royal Giant near the bridge to attack your Arena Tower and you only have cheap troops available, don’t be scared to fight the big giant! As long as there are no backup troop especially splash damaging troop or Zap, your small troops will be safe from harm. Afterwards, check the next card that you will get and plan your counter attack ahead. On a personal note, I actually find it amusing that these little fellas help together to bring the big giant down. These are the most extreme card to use when facing a very strong and high level Royal Giant deck. These decks are usually paired with Witch or Three Musketeers. If you saw your opponent setting up the Royal Giant behind the Arena Tower, wait a bit more to see what backup card will he use. Always prepare yourself to counter attack by using Rocket or Freeze spell + splash damaging troop. Tip 1: Rocket is a difficult card to use especially if you’re targeting a mobile unit. The area of effect is very small but very powerful. Patience is the key. Wait for the troops to reach the bridge where they are compressed and BOOM! unleash that Rocket! It will definitely cost your opponent a lot of elixir lost from the troop spending. 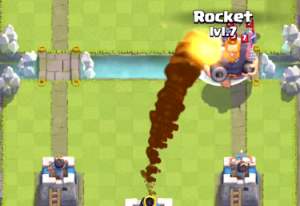 Note that the Royal Giant is still alive from the Rocket’s damage so a follow up Goblin or Skeleton is a must! Tip: If you find it difficult to use the Rocket, use a safer spell instead like Freeze Spell. Though it is much costly in elixir spending because you have to add a splash damaging troop afterwards (Valkyrie, Bomb Skeleton or Wizard). This is a good option for Elixir Collector users as they enjoy the flow of elixir in their hands. 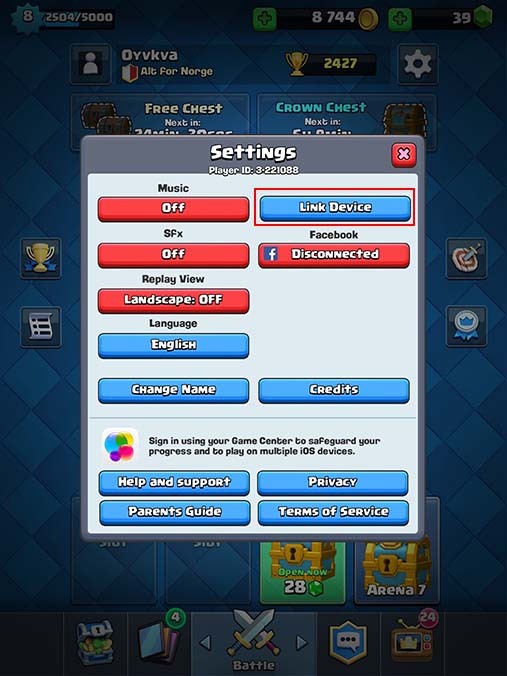 If you got any questions or comments about these ways to counter the royal giant, please leave a comment below.